So you’ve signed up your athlete to play in an Upward Sports program, and as the season approaches, you may be wondering if you’ve made the right decision. After all, there are many different youth sports programs to choose from. How do you know if you’ve made the right selection? The last thing you want to do is mess up your athlete’s experience or future in the sport. 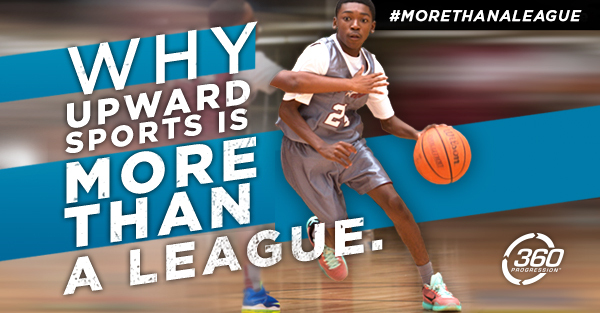 First, you should know that Upward Sports is far More Than an ordinary youth sports program. For the past 20 years, Upward Sports has instilled healthy competition that grows with its athletes. From the first time they picked up a ball, to falling in love with the game, to desiring to improve their skills, and ultimately, wanting to be challenged to play at their highest level, over 5.9 million athletes have participated in our programs. Our athletes not only learn the rules of the game, but they also learn how to be total athletes, developing mentally, athletically, spiritually, and socially through our exclusive 360 Progression. We believe in helping our athletes succeed on and off the court, and the key to their success is our passionate and mission-aligned coaches who are committed to investing in each and every player. When you signed your child up to play in an Upward Sports program, you became More Than a spectator. You joined the movement of reclaiming the landscape of youth sports for the benefit of the athlete – your athlete. To give you a better understanding of what that means and what our programs are all about, we’ve listed a brief description of each aspect of the 360 Progression. Mentally - Your athlete will learn right from wrong in order to make wise decisions both on and off the court or field. It’s also here where discovering the rules and objectives of the game fosters a love for the sport. Athletically – Did you know that only 34% of today’s youth are playing sports? This means that the majority of our youth are spending their time playing video games or watching television, hindering their overall physical development. By playing in our programs, your athlete will not only stay active but also build a strong athletic foundation that will help her compete at her highest level. Spiritually –Athletes learn that their self-worth and identity are not defined by wins or losses or even how they perform in a particular game. Through intentional, biblical character lessons, your athlete will discover his life’s purpose and his part in God’s Big Story. Socially – By being an Upward Sports Athlete, your athlete has the opportunity to foster healthy relationships with her teammates through sportsmanship and teamwork, while learning the importance of putting others’ needs above her own. By focusing on these four pillars of the 360 Progression, athletes are developed into total athletes, improving in mind, body, and spirit. Athletes leave our programs feeling welcomed, appreciated, inspired, and confident . . . at every age and performance level. You’ll be hard pressed to find any other league that offers and delivers this type of experience. If you’re wondering if Upward Sports is the right fit for your athlete, we believe that the answer is “Yes”! Rest assured that we strive to create the best sports experience we can for all by focusing on long-term development over short-term success. So when the final whistle blows at the end of the game, they will be More Than just athletes. At Upward Sports, we don’t just play, we Play with Purpose!